Rock legends New Order have inked a new deal with U.K. indie label Mute, setting their sights on a new release, presumably their tenth full-length album, for 2015. While the group's 2013 effort, Lost Sirens, is counted amongst their nine studio releases, it consisted of eight tracks recorded during the production of 2005's Waiting for the Sirens' Call, marking nearly a decade since the band last recorded a full album's worth of new material together. New Order's upcoming release will notably be their first without bassist and founding member Peter Hook, who exited the group in 2007. 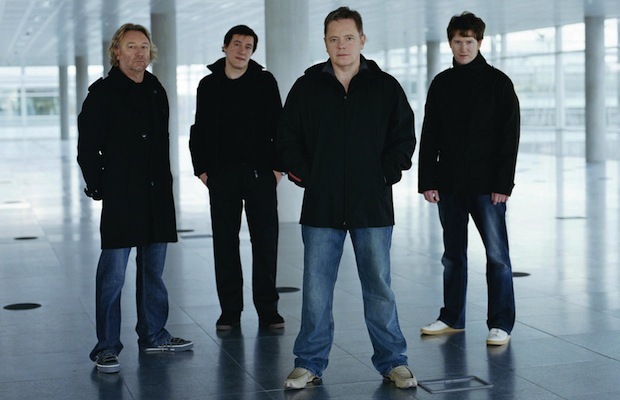 Since becoming newly active in 2011, New Order have toured the world, and have made numerous festival and television appearances. Check out a new song, “Plastic,” which the Joy Division-offshoot debuted earlier this summer at Chicago's Aragon Ballroom, below. You music history buffs might be interested to know that New Order first graced the cover of AP way back in 1985, on Issue #4.